Biological Diversity: Nonvascular and Nonseed Vascular Plants: Indepth study guide with review questions and links on the plants. A Beginner’s Guide to the Study of Plant Structure by Edward C. Yeung: PDF of description and examples of botanical microtechniques. Raven Biology of Plants by Evert and Eichhorn: Excellent resource. Check online for copies. Checklist of Vegetation and Plant Distribution Maps: Extensive set of maps worldwide. Gymnosperm Database: Database on conifers and their allies. iPlant (CyVerse): Diverse, multidisciplinary community of scientists, teachers, and students, and a cyberinfrastructure that facilitates significant advances in the understanding of plant science through the application of computational thinking and approaches to Grand Challenge problems in plant biology. Lousiana State University Visual Herbarium Key: Interactive identfication key for plants with global collections. By keying, the user can learn a great deal about plants, such as stomate number, location found, and much more. Oregon Flora Project: Extensive resources for the flora of Oregon to include an identification app, plant guides, photos, and more. Plant Methods: Online journal with potential articles for students to read. Ultimate Tree Ring Page: Site is designed to be a one-stop-shopping source for dendrochronology. USDA Plant Database: Provides a single source of standardized information about plants. Photosynthesis Animation: Animation is a good review of the entire process of photosynthesis. Photosynthesis Animation by John L. Giannini: Animation of thylakoid membrane only. Photosynthesis Animation by June B. Steinberg: Animation of energy capturing PS I & II only. Transpiration: Description of water cycle and transpiration. Interactive Water Cycle map at the bottom of the page provides information ground, water, evaporation, and other factors. Link is on the USABO Student Center also. Transpiration: Science: Animated escription of transpiration. Transpiration Images by Bing: Images of transpiration process. Be sure to verify copyright use before using. Transpiration by Kimball Biology: ​Tutorial on transpiration and the factors involved. Gas Exchange by Kimball Biology: Description and diagrams of gas exchange in plant leaf, stem, and root. Leaf Structure and Function Images by Bing: Images and diagrams of leaf structure and function. Before use, check if copyright requirements apply. Plants and Their Structures by University of Waikato: Description with diagrams and images of plant leaf, stem, and root structures. Colorized electron microscope image of a stoma on the leaf of a tomato plant. Stomata by Encyclopedia of Life: Describes stomata functions and research areas involving stomata. Stomatal Development: Describes function of stomata, development in Arabidopsis, and cell-to-cell signaling. Stomata Images by Bing: Various images of stomata. Be sure to verify copyright use before using. Images of Roots by Bing: Images of roots. Be sure to verify copyright use before using. Root Structures by Bing: Various images and diagrams of roots. Be sure to verify copyright use before using. Roots by Kimball Biology: Descriptions and diagrams of root structures and functions. Be sure to verify copyright use before using. Roots: Descriptions and diagrams of structure and function of roots. Be sure to verify copyright use before using. Roots by Biology Online: Tutorials on roots. Types of Roots: In-depth descriptions and photos of roots. Be sure to verify copyright use before using. Plants and Their Structure II by Estrella Mountain Community College: Diagrams and tutorials on stems. Stem: Introduction to stems with more in depth information on stem structure, woody, modified. Stem Images by Bing: Images of stems. Be sure to verify copyright use before using. Apical Meristem Images by Bing: Images of apical meristem. Be sure to verify copyright use before using. Modifications to Shoot Apical Meristem: Descriptions and photos of evolution of plants. Be sure to verify copyright use before using. The Shoot Apical Meristem(Wonders of SAM) University of California, Davis: Basic description and diagram of shoot apical meristem. Germination: Description of germination methods. Germination of Seeds by Kimball Biology: Review of structure and diagrams of monocot and dicot germination with links to seed formation. Images of Germination by Bing: Germination images. Be sure to verify copyright use before using. Asexual Reproduction by Kimball Biology: Diagrams, photos and tutorial on plant asexual reproduction. Asexual Reproduction by McGraw Hill: Description of various asexual reproductive methods. 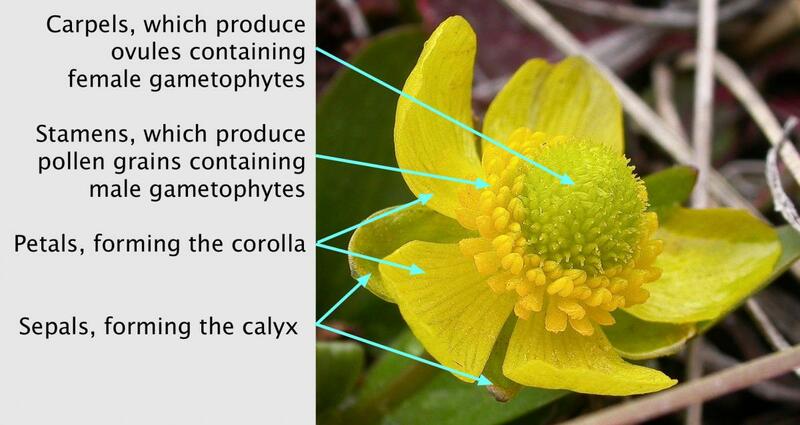 BBC Structure and function of flowers: Diagrams, photos, and tutorials on flower structure. Be sure to verify copyright use before using. Flower Structure Images by Bing: Images of flower structure. Be sure to verify copyright use before using. 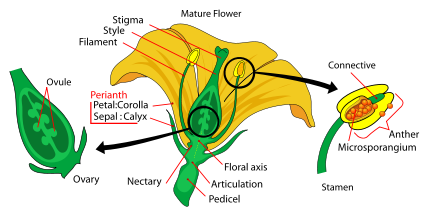 Flowering Plant Reproduction: Flower Structure: Photos, diagrams, and tutorials on flowers. Be sure to verify copyright use before using. Taxonomy of Flowering Plants by Raymond B. Phillips: Extensive resource on flowers with photos, diagrams and descriptions. Be sure to verify copyright use before using. Flower Structure and Variations: Description of general flower structure and variations of the generalized structure. Flowers Flowers by Latin names. Detailed photos and descriptions of flowers. 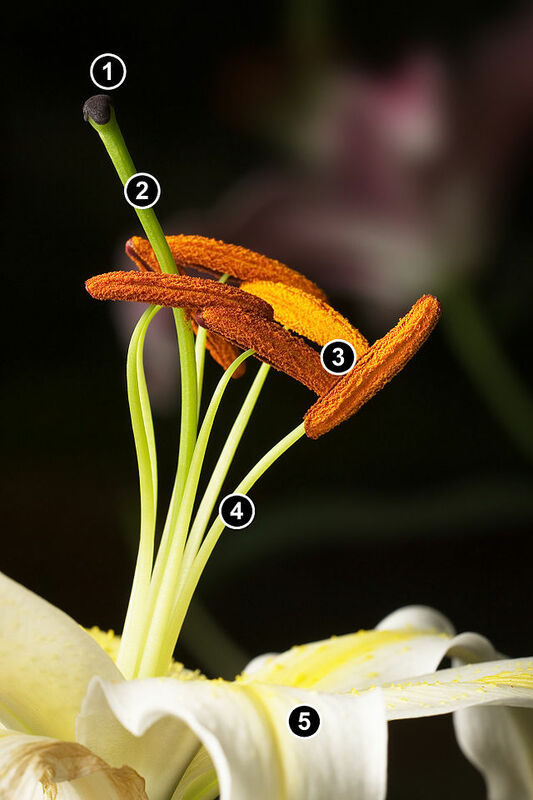 Biology of Plants: Pollination by Missouri Botanical Science Museum: Basic description of pollination with examples of pollinators. Coevolution and Pollination: Examples of plants and organisms that have coevolved. Great Pollinator Project: Brief description of pollinators with a focus on bees and their management. Pollination by New World Encyclopedia: Types and mechanics of pollination and environmental impact. Pollen and Fertilization: Description and films of fertilization. Plant Phylogeny: Adaptation to Terrestrial Life: Photos, tutorial, diagrams of alternation of generations. Be sure to verify copyright use before using. Biological Diversity: Nonvascular Plants and Nonseed Vascular Plants by Estrella Mountain Community College: In depth tutorial on plant life cycle to include alternation of generations. Diagram of alternation of generations. Use this diagram to compare and contrast the similarities and differences in the alternation of generations in mosses, ferns, and seed plants. “Alternation of generations” by Peter coxhead – Own work. Licensed under Public domain via Wikimedia Commons http://commons.wikimedia.org/wiki/File:Alternation_of_generations.svg#me….